Kara Summers recently returned to her hometown of Sunny Shores, Florida, to start her own food truck business. Little did she know her summer would start off with a bang…literally. A propane explosion caused the Mama Mia Food truck to flame up with the owner inside. The police ruled it an accident, but Kara discovers evidence to the contrary. Her inquisitive nature, along with her love for mysteries, won't let her rest until she uncovers the truth. Unfortunately, the truth hits a little too close to home. With help from her sister and an old neighbor, Karis does all that she can to find out who murdered Carmel. It doesn’t help that the investigating officer is an ex-boyfriend who broke up with Karis because he couldn’t cope with her psychic abilities. Despite this, Karis won’t rest until she finds the killer. 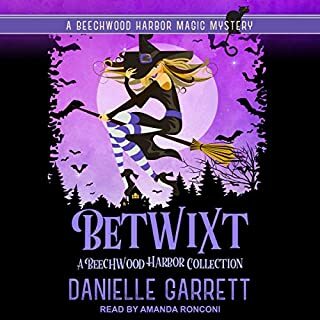 I liked this British cozy mystery! 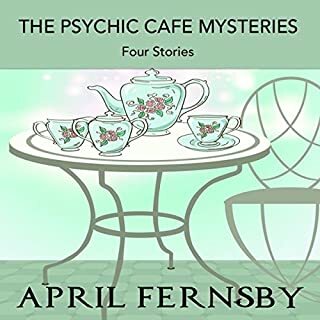 I enjoyed Ms Fernsby’s Brimstone Witch Mystery and was thrilled when I checked and saw she had two more releases for March. I begged and received a promo code and regret it. I’m heartsick to rate it low and NOT recommend one of her books. 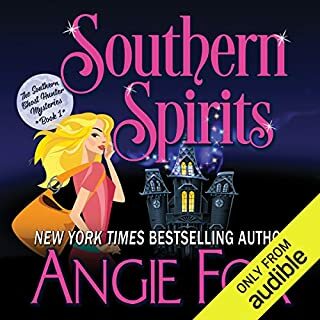 At first, when I listened to the sample and realized the narrator had a British accent, I expected no less than Ms Fernsby submerging authenticity. However, the recording was atrocious. A three hour true cozy should not take me five bloody days to get through! I had immediately downloaded the audio and cringed. I thought I would babystep listen for twenty minutes at a time. I had not expected to start over twenty times because I was just trying to get through it, and not listening. Read the book. Gift the book. I’m going to buy the book and give a justified review on the book version. The story itself was charming. The characters were interesting, whenever I was able to tune out the echo-y sound. It really sounded like the narrator was in an empty closet or small room. I would never pick up another book if it is narrated by Sangita Chauhan. 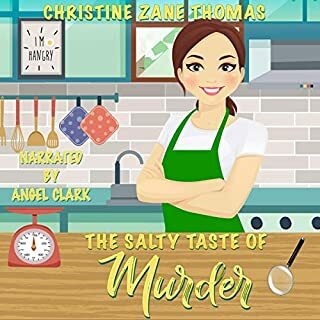 A cute British Cozy Mystery. I love the setting and the characters were interesting. The narration was irritating. Sangita Chauhan's voice was ok, but whatever recording program was used had a metalic hollow sound. I found this cozy mystery to very good. It has a great combination of mystery, suspense and romance. the story was light and funny, and it kind of reminded me of me and my sister. I would recommend this to anyone that just wants get away for a few hours. The Narration however was a different story. When I listened to the sample it wasn't so bad, but after 15 or 20 minutes into the book, I couldn't stand it anymore. Her voice was great, but the recording was awful. like she was talking though a tin can the whole time. I did enjoy the light storyline and liked the characters and the way they intermingled. The interesting mystery that needed to be solved with psychic help, has a cute twist to it. I found it funny that one of the characters you want to dislike, was never truly part of this story. The undeserving husband who makes but a cameo appearance still manages to raise the hackles of everyone he comes in touch with. So much for psychic reading capabilities... What was she thinking when she married him???? The recording unfortunately was atrocious. I'm not criticizing the narrator as I don't think it her fault. It is the quality of the recording I have issues with. The sound was tinny and quite annoying. Not a studio recording I feel. It could have been so much better with a professional recording setup. I hope Sangita Chauhan can prove herself a better narrator in the right environment. Karis has physic abilities and has premonitions. 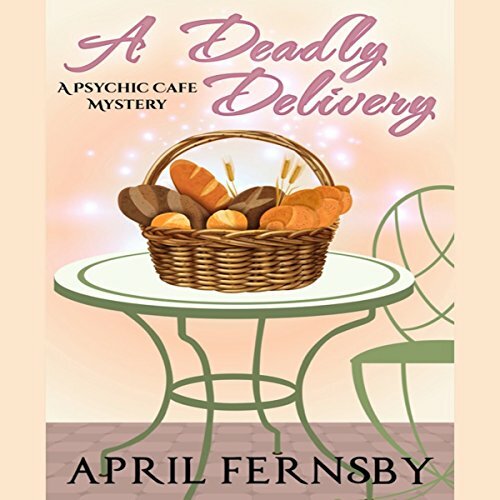 When visiting her sister at her sisters bakery, she has a premonition regarding one of the delivery drivers. She is able to help with the investigation with an old friend. The narration was ok, but there did seem to be some technical issues with the recording, almost like an echo. A woman's clairvoyant gift shows her a murder in a small town. When the subject of her vision ends up dead, she sets out to find the murderer - with or without the help of the local police. This story has a healthy helping of charming small town life blended with a nasty murder and an even nastier murderer. 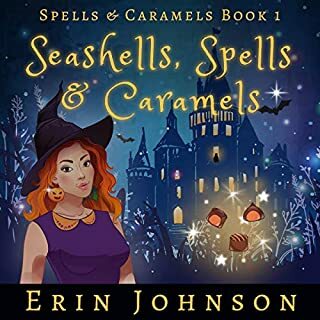 Well written with an interesting heroine who,s finding herself after a divorce, dealing with the stigma of her paranormal abilities and mending fences with childhood friends and family. An entertaining read that's not too dark. Terribly audio but great story! 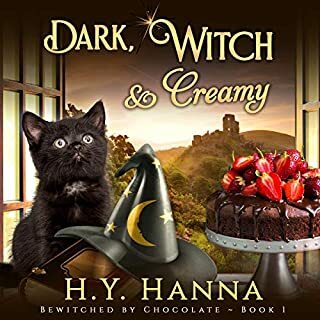 This very light hearted story was enjoyable, but the narrator was very strange, putting emphasis in the wrong parts of a sentence and not knowing how to pronounce a variety of words, even mispronouncing ‘drawer’ - it was quite off putting.